Established in 1975, Griffith University is Australia’s ninth largest higher education provider offering more than 300 degrees. Known for its innovative tertiary institutions, the university’s mission is to produce large number of work-ready graduates every year. Close partnerships with industry, employers and institutions make studying at Griffith an inexplicable experience. 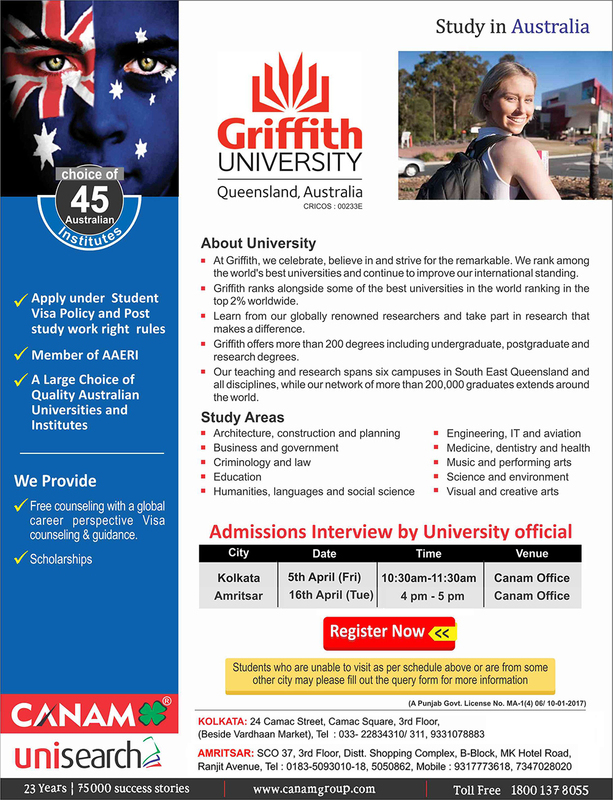 Wide range of students: Griffith University is home to more than 43,000 students from all over the world. Environmental Science and Asian Studies degree: Griffith University is the first university to offer Environmental Science and Asian Studies degrees to its students. Awards and Certification: The Griffith MBA received the 2013 Green Gown Award for Learning & Teaching in recognition of the degree's focus on sustainability and responsible leadership. Ranking: Griffith currently features in the Times Higher Education 'Top 100 Institutions under the age of 50'.